Amongst the varied issues to be raised at the upcoming general election will be animal welfare; in particular, the 10-year old ban on hunting with dogs and the present day badger cull. The Hunting Act was brought in by the last Labour government to protect foxes from the barbaric tradition that sees them chased for miles by a pack of dogs, until they are viciously ripped apart by the hounds. These days the methods employed by landowners to deter foxes from their fields are much more tame, though the activist group The Hunt Saboteurs would argue that many illegal fox hunts still take place. 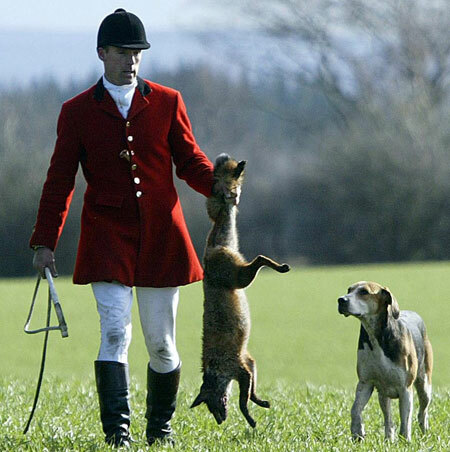 In 2015, the British public are to ponder this Act once again, as the Tories threaten to offer a free vote to reform or entirely remove the Hunting Act, whilst Labour promise to retain it. Labour also promises broader attention to animal welfare, in their opposition to the failed Badger Cull, which has seen the inhumane slaughter of badgers supposedly infected with TB. To eliminate the wholesale exploitation of other species, foster understanding of our inter-relationship in the web of life and protect and promote natural habitat. A free vote could be disastrous for foxes, as many MPs seek an opportunity to return to traditional hunting methods which some believe to be more effective. However, nearly 11 years ago we decided to no longer be a nation defined by blood sports, and it’s hard to see why we would go back on that now.